It was a fundraising event for Hitaishi-4 in order to bring five young girls from Jureli, Makwanpur district for a week-long leadership boot camp in Kathmandu. Thank you so much for Adventure and Travel partner: Apex Himalaya Trek and Expeditions, Core Adventure Company and Big Smile Company for the support. Specially Thanks for Thames International College for the great venue. "Travel can make a difference". The proactive participation of more than 100 like-minded youths added the light toward the event. Our panel discussion was really interactive and informative with our great panelists- Chet Narayan Rasaili: The President of Nepal Democracy Forum, Binita Karki: Co-founder of Youth Force 2030 and Devaki Bista: Freelancer Writer and Photo Journalist with the help of our young energetic moderator Prekchhya Shrestha. We are really grateful to everyone who supported us directly and indirectly to make our event grand success. 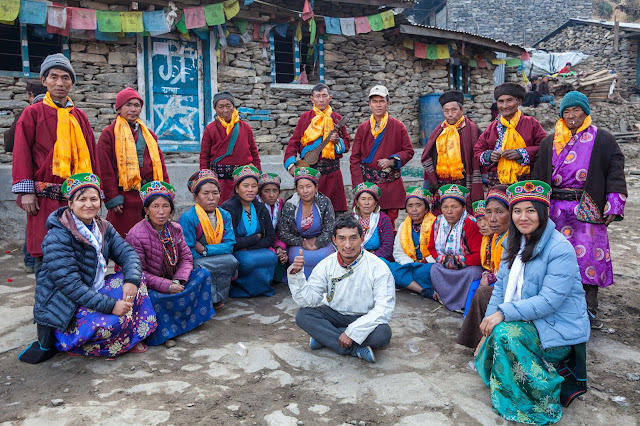 We are thrilled to announce a new VOLUNTEERING PROGRAM IN NEPAL, rebuilding an ethnic village of Gre in the Himalayas. IN THE NUTSHELL, our goal is to put the Gre village on the map and keep it there. We will be bringing a cohort of skilled volunteers to the village to help enable the villagers to create sustainable tourism in their village to ensure their livelihood. PROBLEM: In April 2015 Nepal was hit by a devastating earthquake and the Langtang region (including Gre village) was hit the hardest! Tens of thousands of people lost their homes, lives, and/or loved ones. Sadly, many people in Gre village still live in temporary shelters and lack basic needs, like showers or toilets. -Gre is located on the Tamang Heritage Trail, which promises peaceful trekking among the gorgeous Himalayas without the crowds of more established routes. - Gre currently lacks facilities to accommodate hikers, but many families are interested in establishing homestays. 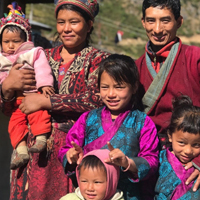 - Tamang ethnicity and culture is very rich and interesting to learn about, and people are eager to share their way of life. - Local families are eager to launch homestay businesses and just need the guidance of mentors to show them the way. 1) Help BUILD the infrastructure necessary to support tourism: - Many homestays are newly-constructed or still in the works and need solar showers, toilets, hand-washing stations, hygiene facilities, etc. - Experience in one of the above areas (i.e. construction, blogging, etc) is highly appreciated! If you are the one really passionate to help the small children or your interest lie with development of children, then we want you to join our team. 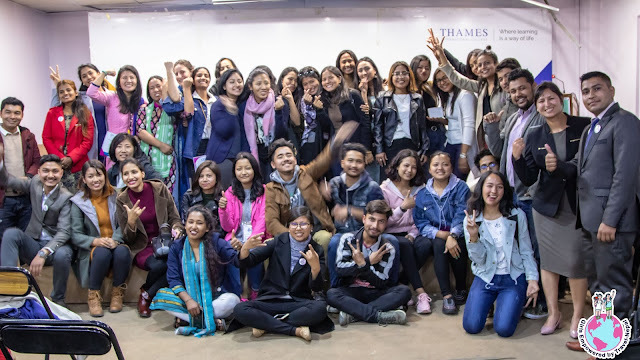 GET-Nepal, the non-profit organisation aims to provide the traveling opportunities for young girls and create the community projects in need. 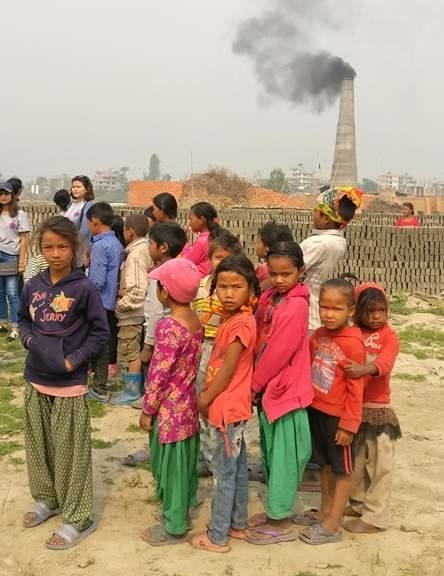 Two years back, our GET-Nepal team went to celebrate Nepali New Year with the children in Brick kiln factory in Bhaktapur. The Kids from the factory had never such enjoyment in their life. We danced, played games and distributed them stationary materials. It wasn't the end. Agriculture has been the primary occupation for over 60% Nepalese people. From Nov-April, mostly farmers remain free and they look for income diversifying sources. The poor families migrated to Brick kiln factory to make bricks with their small children. These children are obliged to drop out the school for six months and they feel hesitant to join the new school in the city areas because of diverse languages and cultures. However, GET-Nepal designed the six months project (Nov 30-April 30) to educate these children through innovative games, sports and arts. Hurry up if your interests are outlined. Working hours: 3 hours a day and six days in a week. Must have experienced working in education sector. Able to teach children in friendly and homely environment. Understand the GET-Nepal objectives and visions. Carry out the weekly classes for three hours a day. Motivate the brick kiln children to involve in innovative arts, sports and games. Support the Project coordinator for project monitoring and evaluation process. Assist to organise the health workshops for young girls working in the factory. Being Featured in The Himalayan Times-The Daily Newspaper. Please read the article written by one of our Hitaishi participants-Nirisha Manandhar. She has shared her experiences and her learnings during her journey in six different districts. Being Featured in Glocal Khabar!! We are very thankful to Glocal Khabar for featuring our travel story! 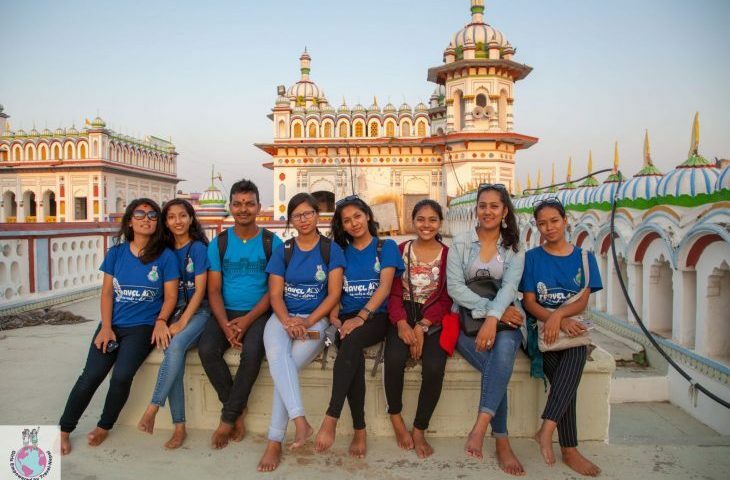 One of our Hitaishi -3 participant Sristika Shrestha shared how this travel changed her perspective about the beauty of Terai. 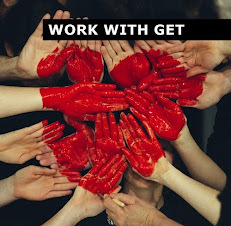 GET has joined Global Giving Accelerator and now we need your help! Our amazing NAANI project has been approved for 2018's Accelerator Program by Global Giving. This is a great opportunity for us to fully fund this project and provide proper education for unprivileged children. Access our DONATION PAGE clicking here for more details. The donation period starts this Monday, September 10th. You can donate any amount between $10 to 85,000 USD. Donations can be done once or monthly. In Nepal, thousands of families migrate to Kathmandu in search of seasonal employment. Many end up in brick kilns - factories of bricks hand made from mud. Brick kilns are one of the most exploitative forms of child labor. In Feb-March 2017, 32,000 children were laboring at the kilns! At kilns there's no environment/ opportunities to study. Children skip 6 months of school, so most schools hesitate to accept them back as they return to their villages. Most kids drop out, resulting in the continuation of the cycle of poverty. Project will cover the 6 months' of school that the kids are otherwise will be skipping while living and working at brick factories. We will bridge this 6 months gap, so that when kids return home, schools will accept them back. We will provide formal curriculum classes, as well as use non-formal education approaches, 'learning by doing' method, organize hands-on workshops, i.e. on health and hygiene, which is big issue in Nepal. We will set up classes at a factory near Kathmandu. Have you ever heard about the SDGs Hike? The hike that aims to aware the youth about 17 Sustainable Development Goals and the role of Youth to achieve by 2030. It was a practical way of education to educate the participants that how a youth can contribute in a practical way to achieve these goals. 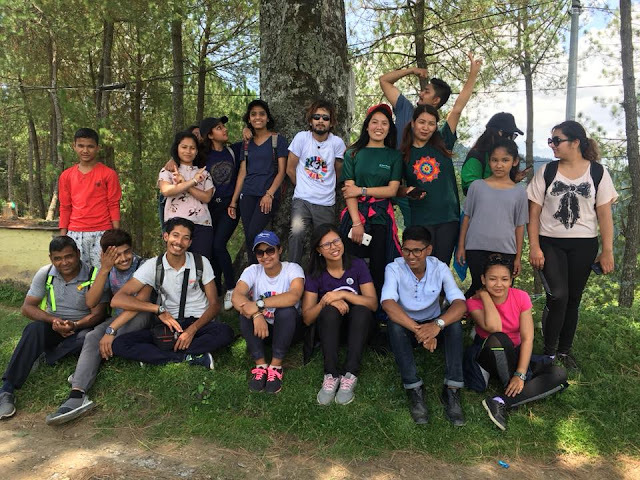 About 23 youths were participated in the hike, which started from Nagarkot to Changunarayan from beautiful lush green forests to beautiful world heritage sites. The hike was organised in the collaboration of YOUTH FORCE 2030, Binitar Karki, co-founder delivered the session with the definition of SDGs and different strategies to achieve it.